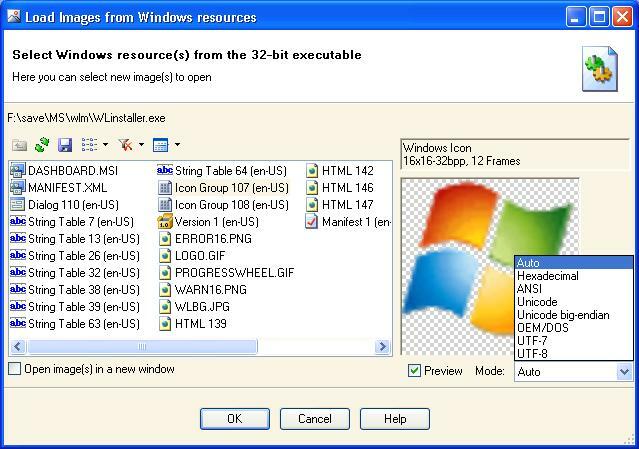 the resource files by choosing File->Import->From Resource... menu item. To explore a selected resource item on the left panel double click it. Press OK button to to load images for use in Sharp IMG Viewer 2008.